Known around the club as Fun Sails, we organize two to three sailing cruises each year. Each trip is typically three days and two nights, sailing out of St. Petersburg on a 35 foot plus boat. Day 1 – Leave the docks between 10-11am. Sail through the bridge to the western side of Tampa Bay and into Manatee River to anchor at the Desoto Point Cross for dinner and drinks on the boats. Day 2 – Sail out into the gulf for the day, sailing around Egmont Island and ending up at Twin Dolphins marina for docking and dinner at the restaurant. Breakfast and lunch are on the boats. Day 3 – Sail back to docks for 5pm landing. Watch the news postings, events calendar and clubmail for details, including dates and cost, about upcoming cruises. 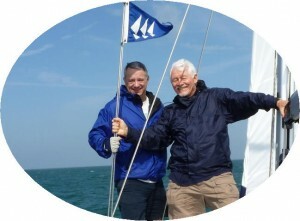 Browse through the Fun Sail posts for photos of past events.